Also keep in mind that the map chosen will have to be tweaked later to completely fit with all the other details. The map should be finalized made after the lore. just to make thing a bit more organized I am putting a link to all entries in the first post. Just to clarify, I think that once a draft is chosen, the next stage of the process - creating a proper map - will open to everyone, not just the one who made the chosen draft. I have an old map sketch lying around somewhere, that I might as well apply to LCC, so it'll probably be up in a while. "Rebels" - No real official territory, other than a mystic island. wobnam wrote: Just to clarify, I think that once a draft is chosen, the next stage of the process - creating a proper map - will open to everyone, not just the one who made the chosen draft. I thought I'd give it a shot as well. No borders drawn yet - except the natural ones, nor all the land occupied. The very centers of the factions are depicted, but not named. A bit of a hasty job, but it was fun to do. I know this might not be the right place, but I just throw in an idea: It would be awesome with an interactive map, where you can mouse over a pixel and then see the buildings at that location. Bentoft wrote: I know this might not be the right place, but I just throw in an idea: It would be awesome with an interactive map, where you can mouse over a pixel and then see the buildings at that location. I suggested that on the other thread but it seems liek it may be hard to do. Still I think it is possible too! With FlickR, I believe this could be done to some extent. When the final map is chosen, the maker could add non-overlapping notes (little "signs" on the picture, in case you'e not familiar with FlickR) with links to the builds located there. 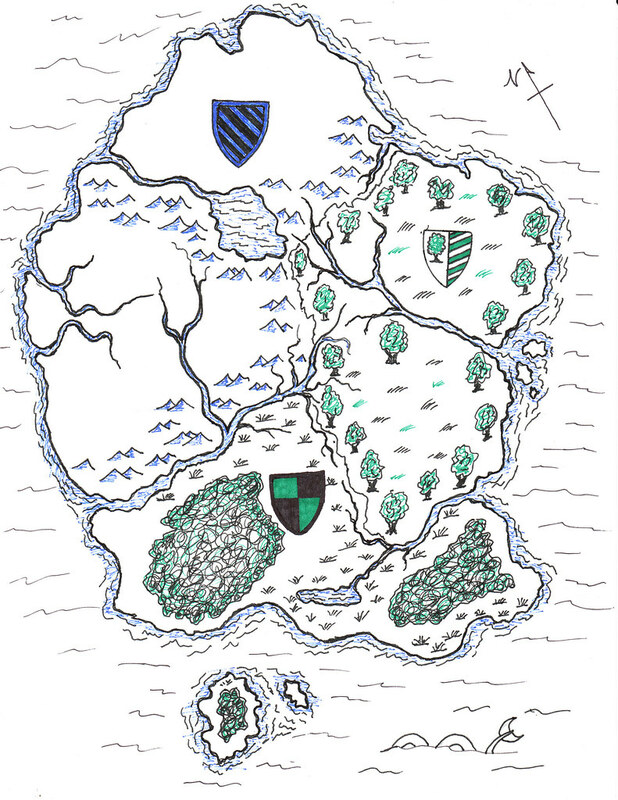 Furthermore, we could have a full map of the whole LCC world, with notes leading to maps of the separate factions' lands. Werefrom there could then be notes leading to the actual builds. This way, the map will get less cluttered and messy, and you will actually be able to have two buildings in the same town. richardanthonyc wrote: I suggested that on the other thread but it seems liek it may be hard to do. Still I think it is possible too! I think this would be messy. I made a small demo of what I thought of. Just mouse over the red dots.